In case you've been under a rock this week, American Airlines and US Airways agreed to tie the knot on Valentine's Day. So what now? The merged entity will retain the American Airlines name and will surpass United to become the largest airline in the world by most measures. They will be maintaining all 9 of the existing hubs (at least for the time being): Chicago, Dallas, Los Angeles, Miami, New York, Philadelphia, DC, Phoenix, and Charlotte. Operations for the two legacy airlines will remain independent until the merger is finalized, which will take some time. 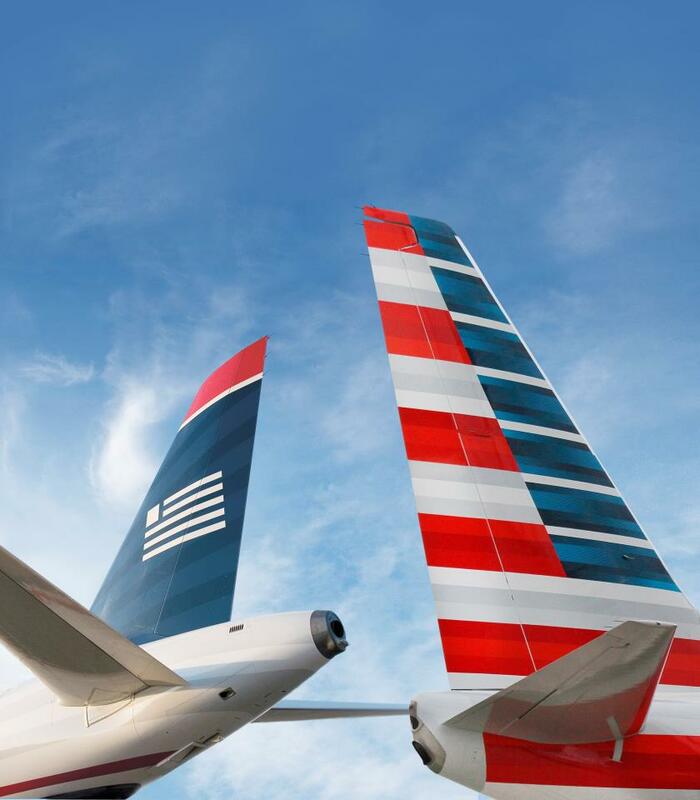 Once it is finalized, the new entity will be part of the oneworld Alliance (American is already a member, but US Airways is currently part of Star Alliance). This will mean a new set of partners for US Air flyers: Goodbye United, Lufthansa, Air Canada, SWISS, Thai, ANA, Singapore, and a slew of others... Hello BA, Qantas, Cathay Pacific, Air Berlin, and a bunch more. I see both advantages and disadvantages to this shake-up. As United flyer based in NYC, I see more good than bad for me personally - but let's start with the bad. I'm going to miss having US Airways as a partner for earning status on United when traveling up and down the East Coast. Given their hubs in Philadelphia, DC, and Charlotte (not to mention a significant presence at LaGuardia), US Airways has a pretty extensive route map in this part of the country. I took more flights on US Airways than any other Star Alliance partner last year - they were mostly short trips, but still represented about 6% of my Premier-Qualifying miles. I'm looking forward to being able to combine balances across the two programs. I have about 370,000 total miles across them - and my wife has another 160,000. Any way you slice that, it's good for 3 first class tickets anywhere in the world, with plenty of room to spare. To make matters even sweeter, mergers like this one tend to bring with them a period where miles can be freely swapped between the two programs. Depending on how the timing works out, that could mean having a healthy pool of miles with access to both Star Alliance AND onewold availability for a period of time! While I'll miss having short-haul trips on US Airways as a way to help earn United status, I do look forward to having an expanded network on which to redeem Avios for short-haul domestic trips and trips to the Caribbean (where US Airways also has great coverage). Should be interesting to see how this plays out - there's still a lot to be sorted out, including the details of the loyalty program. For more information, check out http://www.aa.com/arriving. What do you think about the merger? Are you looking forward to it, dreading it, or largely ambivalent?